Okay, okay, 2010’s alien invasion movie Skyline wasn’t great. And sure, it’s been seven years, but what the hell, why not knock out a sequel? And while you’re at it, why not invite Frank Grillo, Iko Uwais, and Yayan Ruhian to the party? Seriously, what’s the harm? 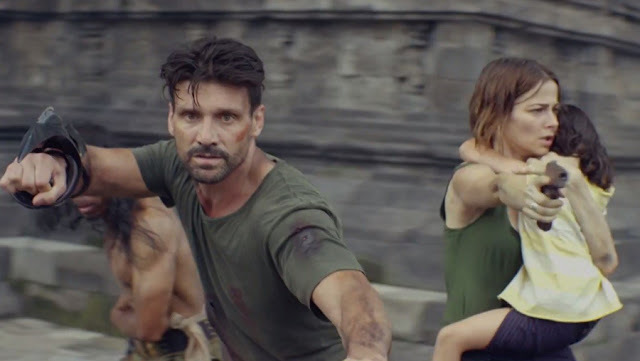 In short, Beyond Skyline looks way more awesome than anyone expected a Skyline sequel to ever look, and if you don’t believe me, check out this new Indonesian trailer and a couple of posters. For those of you keeping track, this Beyond Skyline trailer (which debuted, with the posters, over at Birth.Movies.Death.) is almost exactly the same as the last one. Aside from a few blips of new footage, there are, however, two key differences. First is that Yayan Ruhian actually shows up in a meaningful way this time. That’s always a welcome sight. And fighting aliens is an added bonus. Second, stay tuned to the very end to see Iko Uwais…well, I’m not going to tell you what he does, but it’s incredibly badass and is more than enough to entice me to buy a ticket. No joke, I’d go see this for that snippet alone. Beyond Skyline takes place at the same time as the first movie. 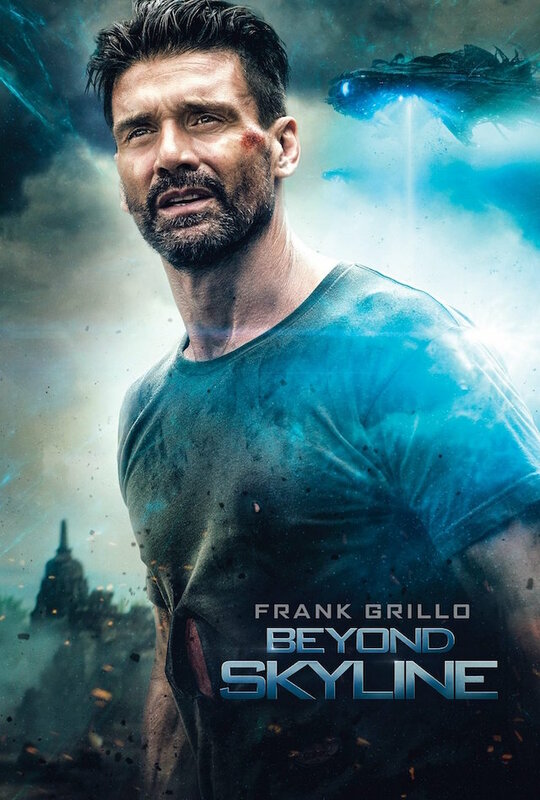 But instead of following Eric Balfour, it follows Frank Grillo as a grizzled detective who tries to save his troubled son from alien abductors. Along the way, it appears he teams up with Iko Uwais, Yayan Ruhian, and an assortment of other folks I’m less excited about. So, yeah, I’m game. Liam O’Donnell, who wrote both the first movie and this one with Joshua Cordes, takes over the big chair this time. 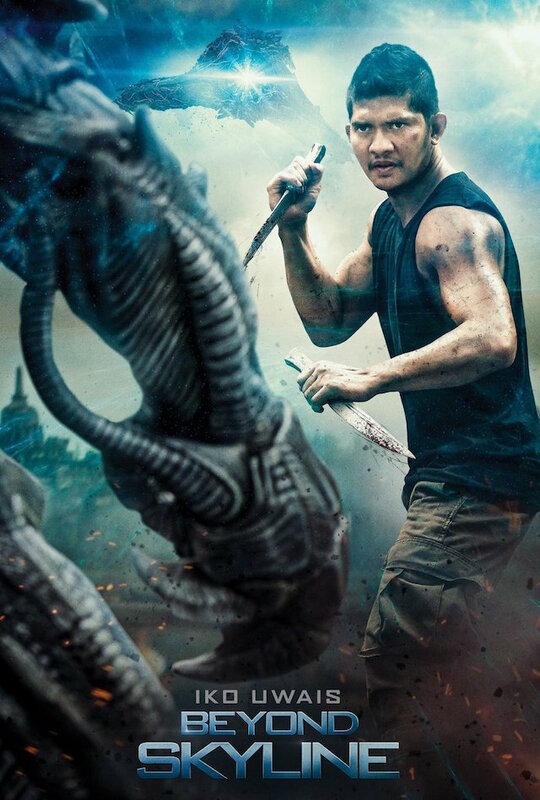 Beyond Skyline premieres on October 6 at the Sitges Film Festival, opens in Indonesia on November 1 (hence the Indonesian trailer), and gets a limited U.S. release in December. Plan accordingly.